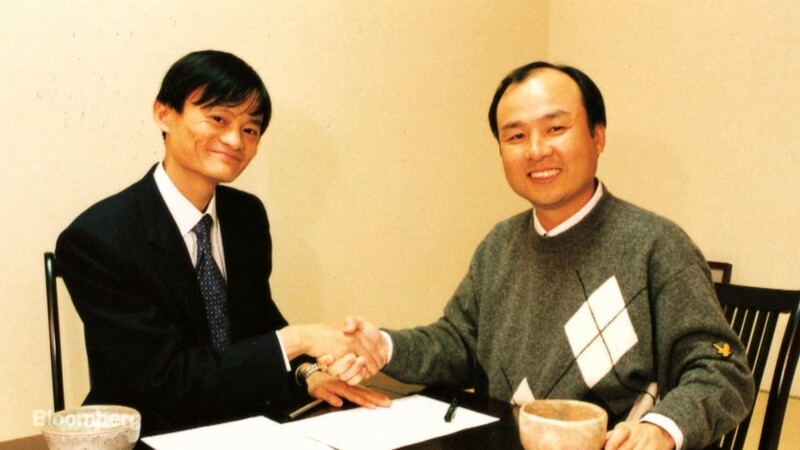 When he was 16, Masayoshi Son decided he wanted to meet Den Fujita, one of Japan’s most famous entrepreneurs. Fujita was the founder of McDonald’s Japan, and had written a book that Son admired. Son repeatedly called Fujita’s assistants, asking for a meeting, but his requests were ignored — successful businessmen don’t take time out of their busy schedules to meet eager 16-year-olds. Then Son decided to take matters into his own hands . He booked a ticket to Tokyo and landed up at Fujita’s office. “You don’t have to look at me. You don’t have to talk to me. You can keep on working, whatever you’re doing. I just want to see his face. For three minutes,” Son pleaded with Fujita’s office assistants. They relented — Son was allowed into Fujita’s office, and he had a 15 minute chat with his young fan. It’s persistence like this that’s helped the young fan become the most influential player in India’s startup ecosystem. Masayoshi Son’s Softbank had invested in Snapdeal in 2013, but the investment didn’t quite pay off. Snapdeal was floundering at the beginning of this year, but Son was adamant on winning a slice of India’s lucrative e-commerce pie. Son then invested billions in both of Snapdeal’s competitors, Paytm and Flipkart, ensuring that he’d have a stake in any company that would eventually win India’s e-commerce race. But it’s not just Snapdeal, Paytm and Flipkart — Softbank also is the biggest investor in Ola, and is also an early investor in InMobi. It also has large stakes in Oyo and Grofers, and thanks to its $100 billion Vision Fund, is still willing to back any successful startups that may emerge in the country. There were few signs in Son’s early days that he would end up becoming the biggest player in the Indian startup space. He was born in 1957 in Japan, the son of Korean immigrants. As a child, he was bullied in school because he was Korean, which made him change his Korean name to adopt a more Japanese-sounding name — Masayoshi. At the age of 16, Son moved to the US to learn English. After attending two years of high school, he ended up studying Economics at UC Berkley. While at university, Son gave early hints of his entrepreneurial ambitions. In Japan, his father ran a video game parlour, so he imported early consoles of Pac Man and Space Invaders to the US, and leased them to local bars and restaurants on a profit sharing basis. Arcade games were just taking off in the late 70s, and Son’s plan was lucrative — he reportedly made his first million dollars through his little scheme. While Son didn’t have a formal education in engineering or technology, he appeared to intuitively undersand how to sell it. While in university, he met his Physics professor Forrest Mozer, who’d invented a speech synthesizer. Son came up with the idea to use the synthesizer as translator that would pronounce the word that you were trying to translate, and could be sold at airports. Mozer patented the device, and together they made $1 million (in today’s money) selling their invention to Sharp. “He didn’t know any electronics, but it was clear from the very beginning that he was an entrepreneurial genius,” Mozer says about Son. In spite of his successes, Son didn’t stay back in the US. 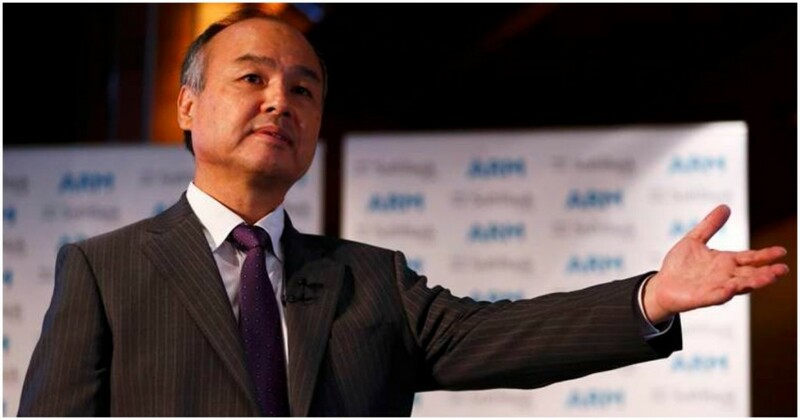 In 1981, he returned to Japan, and set up Softbank with two part-time workers and a small office. Softbank was a software distributor at the time, selling packaged software to Japanese clients. Within a year, Softbank was already diversifying — in 1982, it entered the publishing business, launching two monthly magazines about PCs and software. By the late 80s, Softbank had created a system that let people across Japan choose telephone operators with the lowest rates for domestic and long-distance calls that was enormously popular. Softbank would also seriously enter the publishing business in a big way in 1996, acquiring Ziff Davis, the US-based publisher of PC Week Magazine. But the move that propelled Softbank into prominence was its investment in Yahoo. Softbank became the primary shareholder in Yahoo, and set up Yahoo Japan, its Japanese subsidiary. 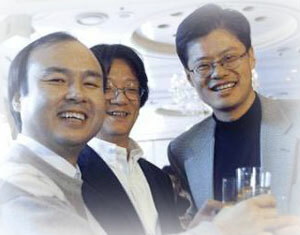 Son bet $374 million on Yahoo between 1995 and 1998, and at its peak, his investment had led to a 50-fold gain. By the late 90s, Son had invested in several tech companies, including Kozmo.com, More.com, SportsBrain and even Webvan. Son’s net worth was soaring. The internet craze propelled him to some extraordinary heights — for three short days, he become the richest man in the world. But trouble was around the corner. The 2000 dot-com crash hit Son particularly hard. Before the crash, he had a net worth of $78 billion, but lost it all overnight, losing $70 billion in one fateful day. Experts estimate that it’s the most wealth lost by an individual ever, and Softbank’s shares lost 99% of their value. It was a crushing blow, but Son was not one to be deterred. He sought to rebuild his empire, this time creating a business that brought broadband services to Japan. But he made another move that would define his career for the next decade — he invested $30 million in a little-known Chinese startup called Alibaba. Alibaba, of course, has ended up becoming one of the most valuable companies in the world, and Softbank’s stake has now grown to an astonishing $130 billion, a 2240x return on his original investment. Armed with Alibaba’s returns, Softbank is now redoubling its efforts into investing in startups around the world. It’s launched a $100 billion Vision Fund, through which it aims to steer the course of technological development for the planet. What has led to Son’s sustained success? It helps that he’s a Japanese businessman who breaks the mould — thanks to his education at Berkley, he speaks English, and shakes hands instead of bowing. He effortlessly straddles the Japanese and Western business worlds, a quality that stood him in good stead while making business deals with his foreign counterparts. Son is also remarkably comfortable taking large, risky bets, and has a keen eye for the future. “He’s a very aggressive, risk-taking, entrepreneurial person. He’s the closest thing to Bill Gates in Japan,” says Steve Vogel, a professor of Japanese studies at Berkley. Son has made his fortune, lost it all, built it up again, and at the age of 60, is still raring to go. “Life’s too short to do anything small,” he says.